Hospital pharmacist Mandy Langston remembers when Lulabelle Berry arrived at Stone County Medical Center's emergency department last year. Berry couldn't talk. Her face was drooping on one side. Her eyes couldn't focus. "She was basically unresponsive," Langston recalls. "If we don't keep this drug [in stock], people will die," Langston said. Lulabelle Berry walks laps on her porch to aid in her recovery from a stroke. Berry survived. But Langston fears others could die because of an unintended bias against rural hospitals built into the U.S. health law. An obscure Obamacare provision forces rural hospitals like Langston's to pay full price for drugs that many bigger hospitals buy at deeply discounted rates. For example, Langston's 25-bed hospital pays $8,010 for a single dose of Activase — up nearly 200% from $2,708 a decade ago. Yet, just 36 miles down the road, a bigger regional hospital gets an 80% discount on the same drug. 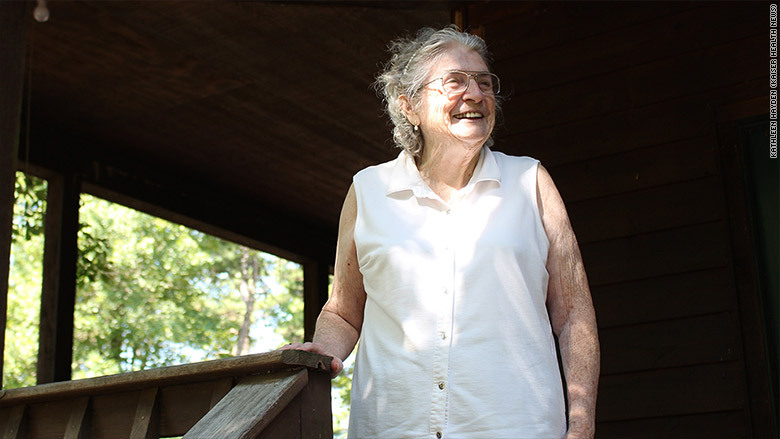 Rural hospitals have long wanted to be part of the so-called 340B program, too, but were blocked from participating until the Affordable Care Act of 2010. That historic health law added rural hospitals to the overall program. But, unlike bigger hospitals, rural hospitals can't get discounts on expensive drugs that treat rare diseases because of a last-minute exclusion written into the ACA. Arkansas, for example, is in the "stroke belt," where medical staff depend on Activase to help them battle one of the highest rates of stroke deaths in the country. When Langston went to restock Activase this year, it was so expensive she left a reorder unfilled for more than week, anxiously keeping only one dose of the clot-busting drug on hand. "We just can't keep the extra [drugs] on hand," Starlin said. "That was one area we could not afford to be in," said chief executive Claudio Fort. 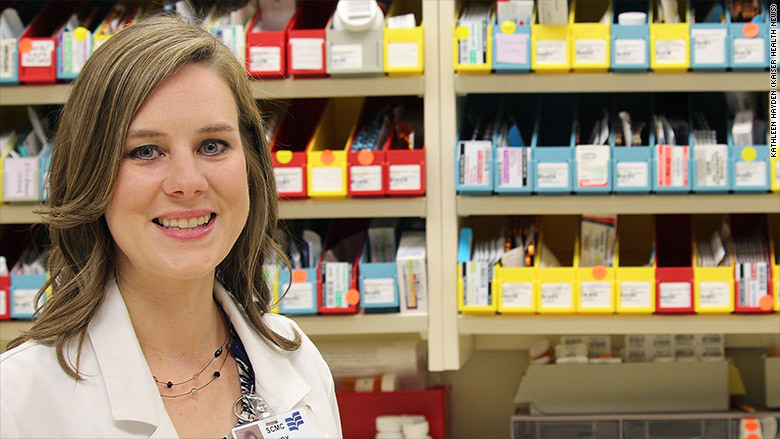 Stone County Medical Center pharmacist Mandy Langston. "The pharma lobbyists pay attention, and their lawyers pay attention to the fine print," Welch said. The pharmaceutical industry "changes that fine print ... [and] many legislators don't even realize [that it] will have this adverse impact on hospitals in their communities." The Food and Drug Administration gives the designation as a first step when it agrees with a drugmaker's request to study whether a drug can be used to treat a specific rare disease. 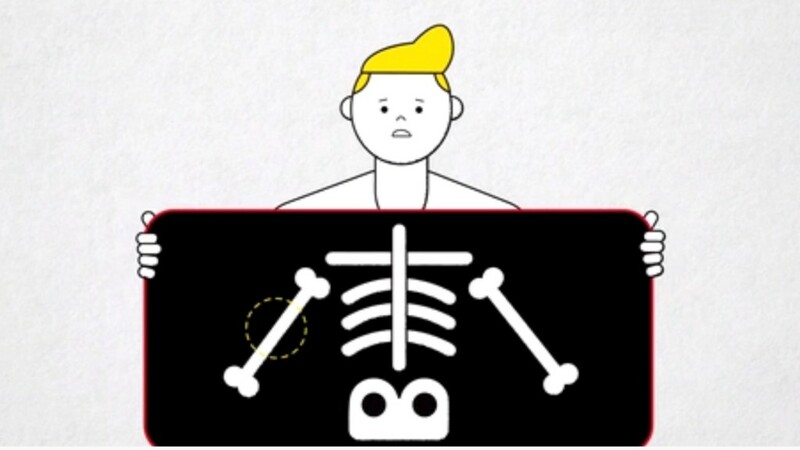 This can happen even if a drug is already FDA-approved and on the market for use in treating a common condition. The next step — the ability to market the medicine as an orphan drug — comes once research confirms that the drug is safe and effective in treating a specific, less common condition. The popular clot buster Activase has not won final approval to treat a rare disease but, on two separate occasions in 2003 and 2014, the FDA has given it the orphan designation while research is ongoing. Thousands of drugs are "designated." The list includes generic drugs such as the hormone melatonin and the autoimmune drug abatacept. In other words, medicines used to treat everything from sleep troubles to arthritis have ended up "designated." Some drugmakers, such as Janssen Pharmaceuticals, have voluntarily offered discounts to rural hospitals on all of their orphan drugs including Remicade, whether they're approved or designated. In contrast, drugmaker Genentech sent letters to rural hospitals on Jan. 1 listing dozens of drugs that would not qualify for discounts, including Activase and cancer drug Avastin. Susan Willson, a Genentech spokeswoman, said the company is "deeply committed to ensuring that people have access to the medicines they need." But, she added, the company believes the federal drug discount program has "grown well beyond its original intent." Several federal reports in recent years from the Medicare advisory board, as well as the Government Accountability Office and the Office of Inspector General, have evaluated the federal drug discount program's growth. About 40% of U.S. hospitals now participate in the program and House Republicans held a hearing this summer questioning the program's growth. But for Dana Smith, director of pharmacy at Dallas County Medical Center in Fordyce, Ark., the discount program's growth and problems are a separate issue. "Basically, Genentech is saying to me that rural health care and the patients in rural America are not as important as patients in urban areas," Smith said, adding the pharmaceutical industry "knows we have less manpower to fight them."